School has started and I am trying to get back on track with eating healthy. Too many potlucks, bbq's, and late night eating for me this summer. I found this recipe on the Tone It Up website and it was not only healthy and delicious, but very easy to whip together before heading off to kids sports activities. I will be back tomorrow with our fall home tour, hope you will join me. But for today, check out these homes! 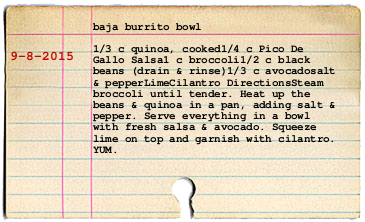 Melanie, I'm going to have to try that baja burrito bowl recipe and soon!! Yes- trying to get back on track also. Will definately try this. Thank you for sharing.